Stress gastritis is inflammation of the stomach wall that arises with severe illness or injury. It is caused by physiological stress where the body is under severe distress due to some disease or the other and is mainly seen in the critically ill patient. These underlying diseases may not specifically affect the stomach. The term stress gastritis, or more correctly stress-induced gastritis, is often mistaken for stomach problems associated with psychological stress – anxiety, fear, worry or depression. However, stress gastritis is not a problem with psychological factors but rather with physiological disturbances that are severe. Here the body is not coping very efficiently as is seen with major trauma, widespread burns, serious infections and organ failure. Stress gastritis more commonly occurs in the elderly who are severely debilitated and often hospitalized in ICU. How does stress gastritis occur? Gastritis is one of the common stomach problems. It is a condition where the stomach wall becomes inflamed due to injury to the stomach often related to the action of stomach acid. The most common causes of gastritis are H.pylori (Helicobacter pylori) infection which is a type of bacteria and excessive use of NSAIDs (non-steroidal anti-inflammatory drugs). Stress gastritis is a similar stomach problem that arises for other reasons. Normally the stomach has a mucus barrier that protects its inner wall. The highly corrosive stomach acid therefore does not make contact with the stomach wall. 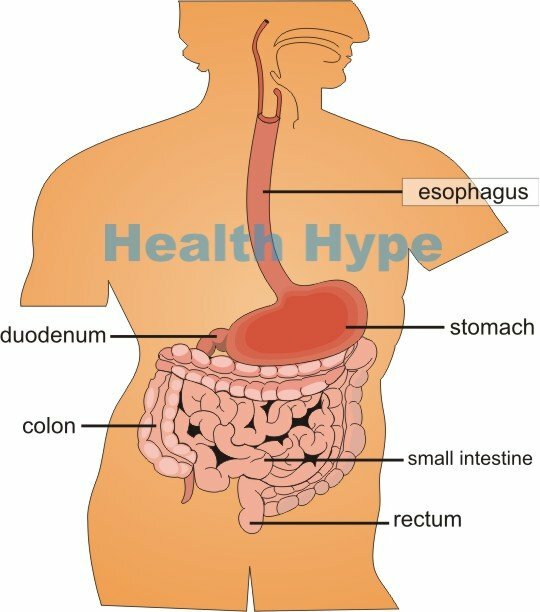 This is a highly efficient mechanism that allows the stomach to secrete and hold strong gastric acid without being damaged by the acid itself. The moment this mucus barrier is compromised or if there is an excess of stomach acid the stomach wall becomes inflamed – gastritis. In stress gastritis the stomach acid secretion is not excessive. In fact it is in many cases lower than normal. The problem instead lies with the inner stomach lining known as the gastric mucosa (epithelium). The underlying illness affects the mucosa’s ability to secrete sufficient mucus to withstand the normal or even lower than normal amounts of acid within the stomach. Either the alkalinity of the mucus is insufficient to buffer the stomach acid or the amount of mucus is lower than normal as the mucus-producing cells are underactive or destroyed. Declining immune defenses in the critically ill patient may also increase the risk of H.pylori infection further exacerbating the condition. Stress gastritis is a form of erosive gastritis with bleeding ulcers in severe cases. This is common as the compromised mucosa in the debilitated patient is unable to renew itself at a normal rate allowing the ulcers to become deep and diffuse. These ulcers are mainly seen on the fundus and body of the stomach. It develops within days unlike other causes of gastritis and is therefore more accurately referred to as acute stress gastritis. Severe trauma as may be seen with assault, falls, motor vehicle accidents or even major surgery especially where there is heavy bleeding with significant loss of blood volume. Massive burns especially where there is third or fourth degree burns involving a large surface area. Head injury particularly with raised intracranial pressure (ICP). Low blood pressure (hypotension) with very low blood volume or significantly impaired heart function (heart failure). Sepsis (“blood poisoning”) is a widespread inflammatory response to an infection where microbes, particularly bacteria, enter the bloodstream (bacteremia). Mechanical ventilation where devices (ventilators) assist or replace spontaneous breathing. Multiorgan failure where there is severe impairment of functioning of several organs simultaneously often associated with one or more of the causes mentioned above. Hematemesis (bloody vomiting) which may vary from a dark coffee ground appearance to bright red bloody vomitus (severe cases). Melena (bloody stool) which appears as black tarry stool. In a minority of cases of stress gastritis, the bleeding is so heavy that a person can lose a significant amount of blood. This can lead to shock and may even be fatal. Stress gastritis may not require any specific treatment. The condition may resolve once a person overcomes the underlying diseases or recovers from major injuries. Prophylactic (preventative) treatment is often started in a critically ill patient to prevent the onset of stress gastritis. This includes the use of acid suppressing drugs. In severe cases with heavy bleeding the treatment needs to be rapid. It may involve cauterization of the bleeding ulcer during endoscopy. This is a temporary measure until the underlying disease or injury is properly treated and managed. In a minority of cases with very heavy bleeding, surgical removal of the stomach (gastrectomy) may be necessary to remove the site of the bleeding.